“The Hubble constant anchors the physical scale of the universe,” said Simon Birrer, an astronomer at UCLA. 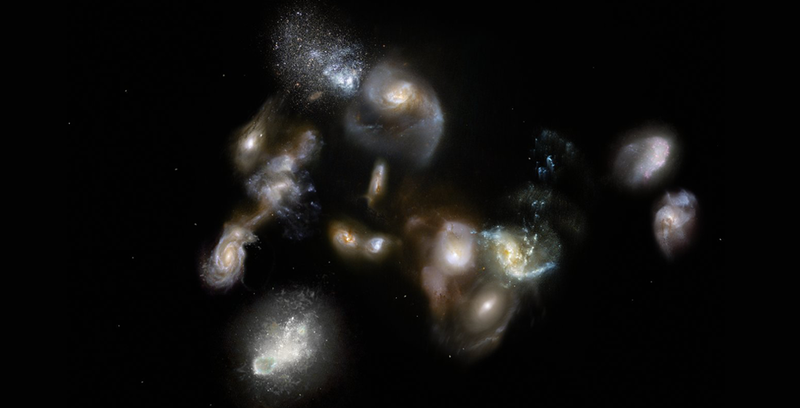 Without a precise value for the Hubble constant, astronomers can’t accurately determine the sizes of remote galaxies, the age of the universe or the expansion history of the cosmos. The question of how quickly the universe is expanding has been bugging astronomers for almost a century. Different studies keep coming up with different answers—which has some researchers wondering if they’ve overlooked a key mechanism in the machinery that drives the cosmos. Most methods for deriving the Hubble constant have two ingredients: a distance to some source of light and that light source’s redshift. 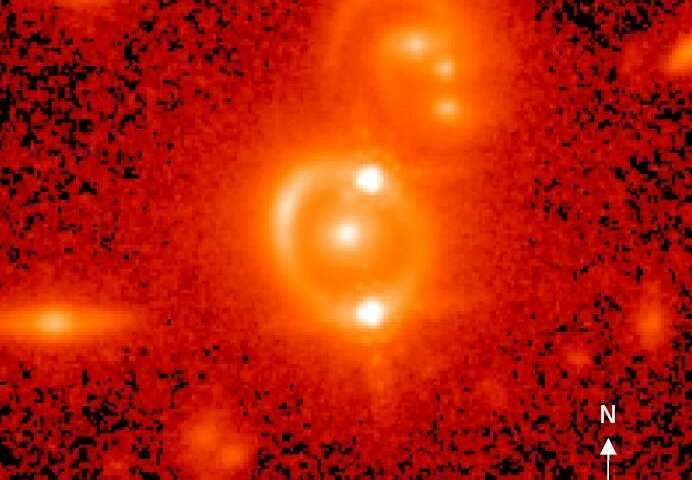 Looking for a light source that had not been used in other scientists’ calculations, Birrer and colleagues turned to quasars, fountains of radiation that are powered by gargantuan black holes. And for their research, the scientists chose one specific subset of quasars—those whose light has been bent by the gravity of an intervening galaxy, which produces two side-by-side images of the quasar on the sky. To demonstrate the technique, the UCLA-led team studied a doubly imaged quasar known as SDSS J1206+4332; they relied on data from the Hubble Space Telescope, the Gemini and W.M. Keck observatories, and from the Cosmological Monitoring of Gravitational Lenses, or COSMOGRAIL, network—a program managed by Switzerland’s Ecole Polytechnique Federale de Lausanne that is aimed at determining the Hubble constant. The image below from the Hubble Space Telescope shows a doubly imaged quasar. (NASA Hubble Space Telescope, Tommaso Treu/UCLA, and Birrer et al).